Can 90 degrees, 180 degrees using 4 kinds of tool. Open the cap, white LED lamps for special different set of functions, easy to use. 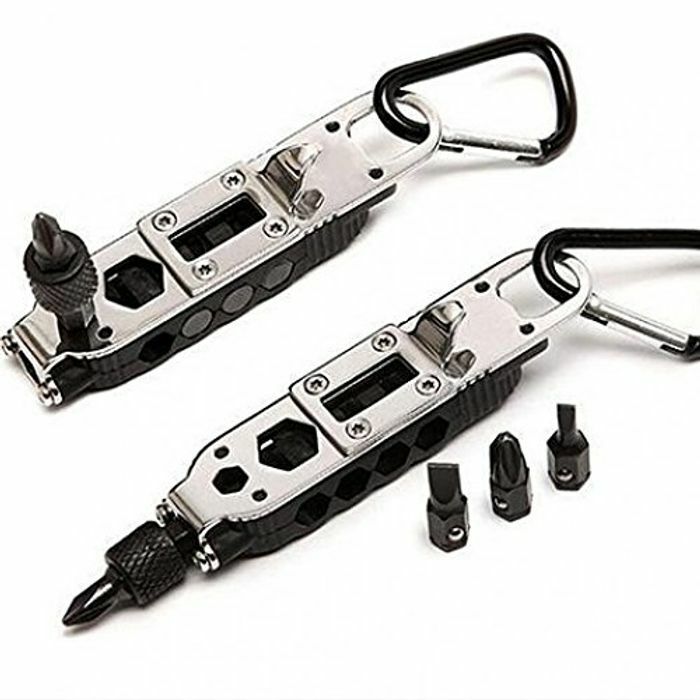 Multi function: flat and phillips hex bit carrier, wrench, bottle opener, LED flashlight with carry carabiner. Can 90 degrees, 180 degrees using 5 kinds of screwdriver.